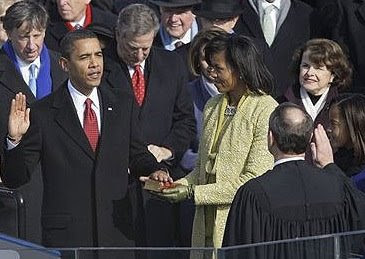 The moment Barack Hussein Obama became the 44th president of the United States. A triumph of hope over fear. The hat. Beautiful. 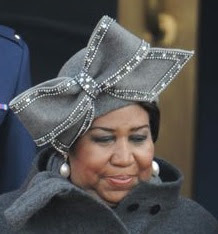 The iconic Aretha Franklin. Fantastic. Even though I always have a hard time listening to My Country, ’Tis of Thee because other lyrics are ingrained in my memory. The lyrics have always struck me as odd, even though I've heard the US version all my life. But how American, to take something from another culture and twist it and tweak it to make it our own? For better or for worse, it's what we do. Aside from that, hooray for us all! What a happy day.